Volunteering on the Music & Culture Project provides an opportunity to immerse yourself in the rich culture of Senegal in West Africa. You will learn about the history of Senegal and learn some Wolof, the local language. You’ll also discover the diverse population, the food and focus on the importance of music. 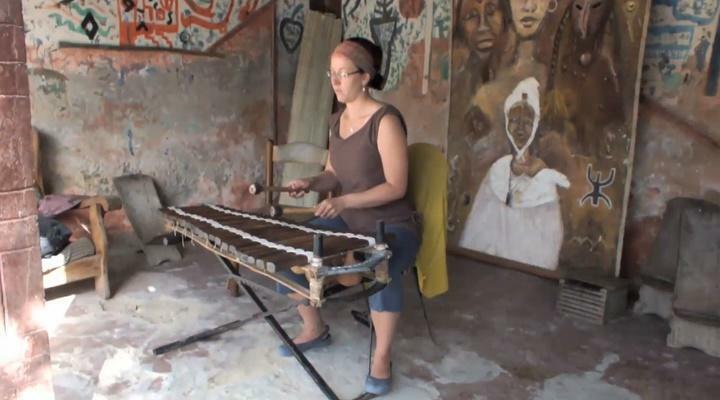 Music plays a fundamental part in the daily life of the Senegalese. When walking through the streets of St Louis you may see small children banging on buckets with sticks, teenagers dancing and playing drums, posters advertising concerts and in the local cafes, and many shops selling djembes (local drums). As a volunteer on this project you will work alongside a local band with talented musicians who will open your eyes to the world of Senegalese music. You may want to learn how to play a new instrument or already have a talent for music which you can share. You will spend your mornings attending lectures and learning more about different aspects of Senegalese culture, including taking classes in the local language, Wolof. By learning more about Senegal as a country and getting to grips with the language you will be able to put your new found knowledge into practice on a daily basis when interacting with the street vendors, your host family and the local community. In the afternoons you will work alongside a group of musicians, learning about traditional instruments, the music itself, the musicians and their inspiration. You will be invited to attend their evening performances in the local cafes and if you feel confident you will be encouraged to play alongside them with an instrument of your choice. Volunteers who are only interested in the musical side of this project have the opportunity to combine this with a Care, Teaching, Journalism, Medicine or Human Rights project.